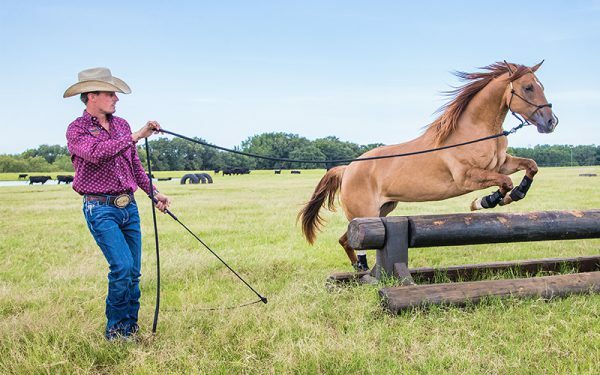 The 6-foot Aussie String easily attaches to the Handy Stick to give you extra reach when working with your horse on the ground. It makes for a great desensitizing tool to get the horse used to objects that move and make a noise around him. 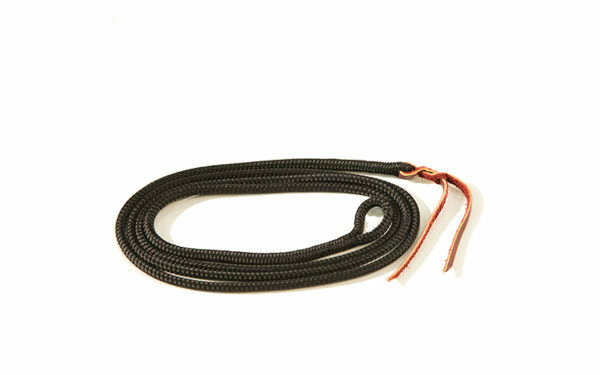 The leather popper at the end of the string gives the string extra weight which allows you to encourage the horse’s feet to move while staying a safe distance away. Watch Clinton put the Handy Stick and Aussie String to use in this video.